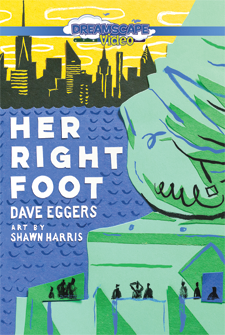 Dave Eggers is the author of ten books, including Your Fathers, Where Are They? And the Prophets, Do They Live Forever?, The Circle, and A Hologram for the King, which was a finalist for the 2012 National Book Award. He is the founder of McSweeney's, an independent publishing company based in San Francisco that produces books, a quarterly journal of new writing (McSweeney's Quarterly Concern), and a monthly magazine (The Believer).